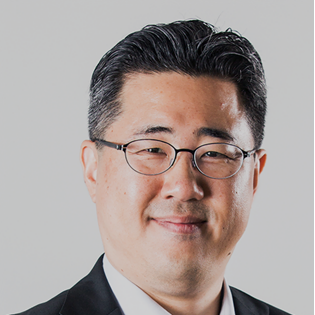 As B2B practice lead for Ogilvy Consulting Asia Pacific region, KeunHo helps clients achieve business growth through various digital transformation initiatives. He has worked with a number of iconic brands in his career, including IBM, Samsung, Intel, Huawei, and Motorola, in the areas of marketing planning, customer strategy, data-driven business insights, digital marketing, branding, lead management, thought leadership, and ROI optimization. Through his experiences in diverse business & marketing disciplines, his main focus has been to understand their impact on the customers and their ultimate value to the business. As such, he is a strong advocate for a healthy balance between optimized customer experience enabled by data & technology and clear definitions of value for internal and external stakeholders. He believes every business has many stories to tell and they come from everywhere – every interaction with customers and partners, how the organizations views the market and work, values they believe in and act on, among other things. If clear and relevant, these stories are so powerful as to determine key buying decisions for both businesses and consumers, which is another great story of itself. Data and technology play a crucial role in creating compelling stories. And true story telling should not be contained in just conventional branding territory. Success depends on genuine organization-wide transformations in everything a business does, which needs to be looked at through human lenses. No more distinctions between B2B and B2C: B2Human is where the modern business is heading. Check out the incredible speaker line-up to see who will be joining Keunho.